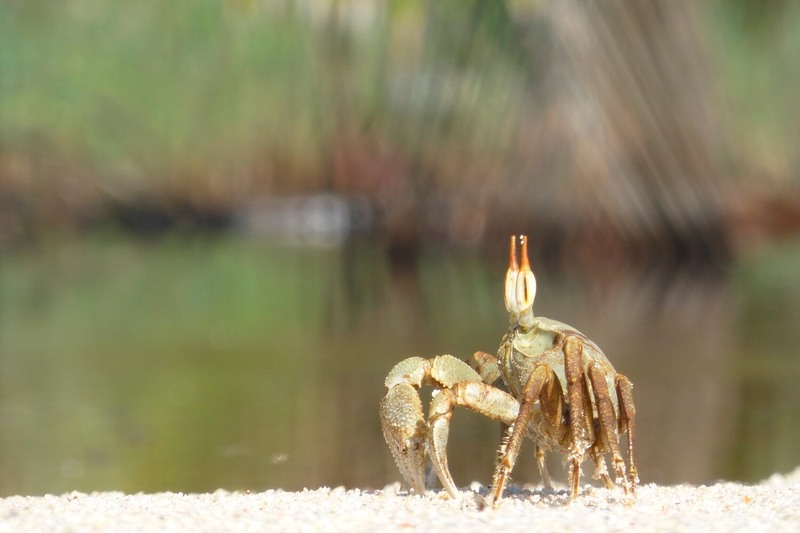 Crab on Mahé Island, Seychelles. What are CEPF's safeguard policies? CEPF follows safeguard policies, which are guidelines that help us ensure that the projects we fund do not inadvertently cause negative impacts, either to the environment or to local people. We review each project, before and during implementation, to see if there are any potential concerns. What happens if my project triggers a safeguard? A member of CEPF's staff or regional implementation team will contact you if your project triggers a safeguard policy. Triggering a safeguard does not mean that you will not be able to complete your project. In most cases, you will simply need to submit an additional safeguard document, which will help you think through the project's potential consequences, and establish a grievance mechanism. CEPF staff can advise you on any specific requirements needed for compliance. You will be responsible for implementing and monitoring any needed measures. See the complete CEPF Safeguard Policies: Environmental and Social Management Framework (PDF - 671 KB), part of the CEPF Operational Manual (PDF - 3.6 MB). The project should not cause, nor facilitate, any significant loss or degradation of forests or other natural habitats. Any activity funded by CEPF should be consistent with existing protected area management plans or other resource management strategies applicable to local situations. Activities involving resettlement of local people or land acquisition are not allowed under the CEPF program. Particular attention is given to mitigating foreseen and unforeseen impacts of involuntary restrictions on access to natural resources, such as may arise through establishment or strengthening of protected areas. Many of the world’s remaining areas of high biodiversity overlap with lands occupied and used by indigenous peoples. CEPF encourages proposals that support indigenous peoples and other local communities in community-based conservation and activities that enhance local tenure and sustainable resource management. All CEPF projects working in areas with indigenous people must follow the principle of free, prior and informed consent. CEPF may support investments related to agriculture extension services or invasive species management. These investments may include the procurement, handling, storage and use of pesticides. No pesticides that are unlawful under national or international law will be supported under the project. Organizations applying for CEPF grants are expected to identify the range of stakeholders that may be interested in their actions and consider how external communications might facilitate a dialogue with all stakeholders during design and, later, implementation of the project. Stakeholders, in particular local and indigenous communities, should be informed and provided with information regarding project activities. CEPF will not fund any activity that involves the removal or alteration of any physical cultural resources (defined as movable or immovable objects, sites, structures, and natural features and landscapes that have archeological, paleontological, historical, architectural, religious, aesthetic, or other cultural significance). These may, however, be present in project areas and measures should be put in place to ensure that they are identified and adverse effects avoided. Participants at a CEPF-funded climate change resilience workshop in Burundi.